Few biblical books are regarded by scholars as the product of a single individual, and all have been edited to produce the works known today. The following article outlines the conclusions of the majority of contemporary scholars, along with the traditional views, both Jewish and Christian. Jews, Samaritans, and Christians have, in different ways, regarded the Bible as being the "Word of God", or as having been authored by the Jewish/Christian God. In many Christian liturgies, the words "This is the word of the Lord" will follow a Scripture reading. As Saint Thomas Aquinas stated, "The author of Holy Scripture is God". Westminster Confession of Faith (1646) asserts that the Bible's authority depends "wholly upon God (who is truth itself), the Author thereof; and therefore it is to be received, because it is the Word of God". A few of the books of the Minor Prophets claim divine origin, as well as the book's transmission through a human prophet. Hosea 1:1 has (possibly as a heading), "The word of the Lord that came to Hosea son of Beeri...", while Joel, Micah and Zephaniah all commence in a similar fashion. James L. Mays suggests that it was the theological understanding of the final redactor that the book as a whole is the "word of Yahweh". There is some debate as to how the word of God may have been transmitted to the authors. The usual position held in modern Christian theology is that the word was inspired by God, while there are some who believe that God verbally dictated the word to those who recorded it (this being the position held by Orthodox Jews regarding the Torah, the holiest part of the Jewish Bible). Many evangelicals in particular appeal to 2 Timothy 3:16 as indicating the Bible's divine authorship. In the ESV translation, this reads "All Scripture is breathed out by God...", while the NIV renders it "All Scripture is God-breathed..." Robert L. Reymond argues that Paul was "asserting the divine origin of the entirety of Scripture", although Paul was specifically referring to the Old Testament. The Hebrew Bible, or Tanakh, is the collection of scriptures making up the Bible used by Judaism. The order used here follows the divisions used in Jewish Bibles. 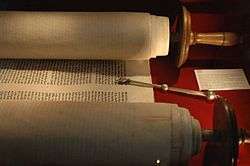 The first division of the Jewish Bible is the Torah, meaning "Instruction" or "Law"; in scholarly literature it is frequently called by its Greek name, the Pentateuch ("five scrolls"). It is the group of five books made up of Genesis, Exodus, Leviticus, Numbers and Deuteronomy and stands first in all versions of the Christian Old Testament. According to Rabbinic tradition the five books of the Torah were written by Moses, with the exception of the last eight verses of Deuteronomy which describe his death. Today, the majority of scholars agree that the Pentateuch does not have a single author, and that its composition took place over centuries. 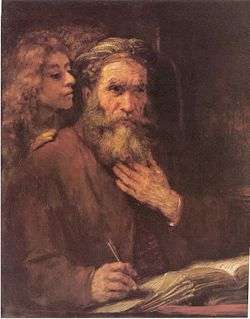 From the late 19th century there was a consensus among scholars around the documentary hypothesis, which suggests that the first four books (Genesis, Exodus, Leviticus, Numbers) were created by combining four originally independent documents, known as the Jahwist, the Elohist, the Deuteronomist, and the Priestly sources. This approach has since seen various revisions, yet while the identification of distinctive Deuteronomistic and Priestly theologies and vocabularies remains widespread, they are used to form new approaches suggesting that the books were combined gradually over time by the slow accumulation of "fragments" of text, or that a basic text was "supplemented" by later authors/editors. At the same time there has been a tendency to bring the origins of the Pentateuch further forward in time, and the most recent proposals place it in 5th century Judah under the Persian empire. Deuteronomy is treated separately from Genesis, Exodus, Leviticus and Numbers. Its place in the documentary hypothesis is anomalous, as it, unlike the other four, consists of a single "source". The process of its formation probably took several hundred years, from the 8th century to the 6th, and its authors have been variously identified as prophetic circles (because the concerns of Deuteronomy mirror those of the prophets, especially Hosea), Levitical priestly circles (because it stresses the role of the Levites), and wisdom and scribal circles (because it esteems wisdom, and because the treaty-form in which it is written would be best known to scribes). Deuteronomy was later used as the introduction to the comprehensive history of Israel written in the early part of the 6th century, and later still it was detached from the history and used to round off the Pentateuch. The Former Prophets (Nevi'im Rishonim [נביאים ראשונים]), make up the first part of the second division of the Hebrew Bible, the Nevi'im, which translates as "Prophets". In Christian Bibles the Book of Ruth, which belongs in the final section of the Hebrew Bible, is inserted between Judges and Samuel. According to Jewish tradition dating from at least the 2nd century CE, the Book of Joshua was by Joshua, the Book of Judges and the Books of Samuel were by the prophet Samuel (with some passages by the prophets Gad and Nathan), while the two Books of Kings were by Jeremiah. Since 1943 most scholars have accepted Martin Noth's argument that Deuteronomy, Joshua, Judges, Samuel and Kings make up a single work, the so-called "Deuteronomistic history." Noth believed that the history was the work of a single author writing in the time of the Babylonian exile (586–539 BCE). This author/editor took as his starting point an early version of the book of Deuteronomy, which had already been composed during the reign of Josiah (last quarter of the 7th century), selecting, editing and composing it to produce a coherent work. Frank Moore Cross later proposed that an earlier version of the history was composed in Jerusalem in Josiah's time; this first version, Dtr1, was then revised and expanded to create Noth's second edition, or Dtr2. Still later scholars have discovered further layers and further author-editors. In the 1990s some scholars began to question the existence of a Deuteronomistic history and the question of the origin of these books continues to be debated. A fragment of the Book of Isaiah found among the Dead Sea Scrolls. Modern scholars divide the Book of Isaiah into three parts, each with a different origin: "First Isaiah", chapters 1–39, containing the words of the historical 8th century BCE prophet Isaiah and later expansions by his disciples; "Deutero-Isaiah" (chapters 40–55), by an anonymous Jewish author in Babylon near the end of the Babylonian captivity;:418 and "Trito-Isaiah" (chapters 56–66), by anonymous disciples of Deutero-Isaiah in Jerusalem immediately after the return from Babylon:444 (although some scholars suggest that chapters 55–66 were written by Deutero-Isaiah after the fall of Babylon.) This orderly sequence of pre-exilic, exilic and post-exilic material is somewhat misleading, as significant editing has clearly taken place in all three parts. Jeremiah lived in the late 7th and early 6th centuries BCE. The Book of Jeremiah presents Baruch ben Neriah as the prophet's companion who writes his words on several occasions, and there has accordingly been much speculation that Baruch could have composed an early edition of the book. In the early 20th century Sigmund Mowinckel identified three types of material in the book, Jeremiah 1–25 (Type A) being the words of Jeremiah himself, the biographic prose material (Type B) by an admirer writing c.580–480 BCE, and the remainder (Type C) from later periods. There has been considerable debate over Mowinckel's ideas, notably the extent of the Jeremiah material and the role of Baruch, who may have been the author of the Type B material. It is generally agreed that the book has strong connections with the Deuteronomistic layers from the Former Prophets, recapitulating in modern terms the traditional idea that Jeremiah wrote both his own book and the Books of Kings. The Book of Ezekiel describes itself as the words of Ezekiel ben-Buzi, a priest living in exile in the city of Babylon between 593 and 571 BCE. The various manuscripts, however, differ markedly from each other, and it is clear that the book has been subjected to extensive editing. While Ezekiel himself may have been responsible for some of this revision, there is general agreement that the book as we have it today is the product of a highly educated priestly circle that owed allegiance to the historical Ezekiel and was closely associated with the Temple. The Minor Prophets are one book in the Hebrew Bible, and many (though not all) modern scholars agree that the Book of the Twelve underwent a process of editing which resulted in a coherent collection. This process is believed to have reached its final form in the Persian period (538 BCE–332 BCE), although there is disagreement over whether this was early or late. For the individual books, scholars usually assume that there exists an original core of prophetic tradition which can be attributed to the figure after whom the book is named. The noteworthy exception is the Book of Jonah, an anonymous work containing no prophetic oracles, probably composed in the Hellenistic period (332 BCE–167 BCE). While a number of the Psalms bear headings which seem to identify their authors, these are probably the result of the need to find a significant identification in tradition. The individual psalms come from widely different periods: "some ... presuppose a reigning king and an established cult in the Temple; others clearly presuppose and mention the events of the Exile." The unknown author of the Book of Job is unlikely to have written earlier than the 6th century BCE, and the cumulative evidence suggests a post-Exilic date. It contains some 1,000 lines, of which about 750 form the original core. The Book of Proverbs consists of several collections taken from various sources. Verses 10:1–22:16 are probably the oldest section, with chapters 1–9 being composed as a prologue – there is some question whether this happened before or after the Exile (587 BCE). The remaining collections are probably later, with the book reaching its final form around the 3rd century BCE. The Talmud refers to Samuel as the author of Ruth, but this conflicts with several details inside the book. It has been proposed that the anonymous author was a woman, or if a man then one who took women's issues seriously. The book is largely a unity, although the genealogy of David appears to be a later addition. The Song of Songs was traditionally attributed to Solomon, but modern scholars date it around the 3rd century BCE. Scholars still debate whether it is a single unified work (and therefore from a single author), or more in the nature of an anthology. The Book of Ecclesiastes is usually dated to the mid-3rd century BCE. A provenance in Jerusalem is considered likely. 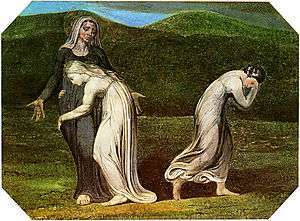 The book's claim of Solomon as author is a literary fiction; the author also identifies himself as "Qoheleth", a word of obscure meaning which critics have understood variously as a personal name, a nom de plume, an acronym, and a function; a final self-identification is as "shepherd", a title usually implying royalty. Lamentations is assigned by tradition to the Prophet Jeremiah; linguistic and theological evidence point to its origin as a distinct book in the 3rd or 2nd century BCE, with the contents having their origin in special mourning observances in Exilic and post-Exilic Jewish communities. The Book of Esther was composed in the late 4th or early 3rd century BCE among the Jews of the eastern diaspora. The genre of the book is the novella or short story, and it draws on the themes of wisdom literature; its sources are still unresolved. The Book of Daniel presents itself as the work of a prophet named Daniel who lived during the 6th century BCE; the overwhelming majority of modern scholars date it to the 2nd century BCE. The author, writing in the time of the Maccabees to assure his fellow-Jews that their persecution by the Syrians would come to an end and see them victorious, seems to have constructed his book around the legendary Daniel mentioned in Ezekiel, a figure ranked with Noah and Job for his wisdom and righteousness. The Book of Ezra and the Book of Nehemiah were originally one work, Ezra-Nehemiah. H.G.M Williamson (1987) proposed three basic stages leading to the final work: (1) composition of the various lists and Persian documents, which he accepts as authentic and therefore the earliest parts of the book; (2) composition of the "Ezra memoir" and "Nehemiah memoir", about 400 BCE; and (3) composition of Ezra 1–6 as the final editor's introduction to the combined earlier texts, about 300 BCE. Lester Grabbe (2003) puts the combination of the two texts Ezra and Nehemiah, with some final editing, somewhat later, in the Ptolemaic period, c.300–200 BCE. Chronicles is an anonymous work from Levitical circles in Jerusalem, probably composed in the late 4th century BCE. Although the book is divided into two parts (1st and 2nd Chronicles), the majority of studies propose a single underlying text with lengthy later additions and amendments to underline certain interests such as the cult or the priesthood. The Greek text of the Book of Daniel contains additions not found in the Hebrew/Aramaic version. All are anonymous. The Prayer of Azariah (one of Daniel's companions) was probably composed around 169/8-165/4, when Antiochus IV was oppressing the Jews. The Song of the Three Holy Children (i.e., the three thrown into the furnace) may have been composed by priestly circles in Jerusalem. Susanna may have been composed around 170–130 BCE in the context of the Hellenisation struggle. Bel and the Dragon is difficult to date, but the late 6th century is possible. Jerome's translation of the Bible into Latin (the Vulgate) contained four books of Esdras (i.e. Ezra); Jerome's 1 and 2 Esdras were eventually renamed Ezra and Nehemiah; the remaining books each moved up two places in most versions, but the numbering system remains highly confused. The present 1 Esdras takes material from the Book of Chronicles and the Book of Ezra, but ignores Nehemiah entirely; it was probably composed in the period 200–100 BCE. 2 Esdras has no connection with the other Esdras books beyond taking Ezra as its central character. It was probably written soon after the destruction of the Temple by the Romans in 70 CE. The author of the Book of Baruch is traditionally held to be Baruch the companion of Jeremiah, but this is considered unlikely. Some scholars propose that it was written during or shortly after the period of the Maccabees. The anonymous author of 1 Maccabees was an educated Jew and a serious historian; a date around 100 BCE is most likely. 2 Maccabees is a revised and condensed version of a work by an otherwise unknown author called Jason of Cyrene, plus passages by the anonymous editor who made the condensation (called "the Epitomist"). Jason most probably wrote in the mid to late 2nd century BCE, and the Epitomist before 63 BCE. 3 Maccabees concerns itself with the Jewish community in Egypt a half-century before the revolt, suggesting that the author was an Egyptian Jew, and probably a native of Alexandria. A date of c.100–75 BCE is "very probable". 4 Maccabees was probably composed in the middle half of the 1st century CE, by a Jew living in Syria or Asia Minor. The Letter of Jeremiah is not by Jeremiah; the author apparently appropriated the name of the prophet to lend authority to his composition. Nor is it by Jeremiah's secretary Baruch, although it appears as the last chapter of Baruch in the Catholic bible and the KJV. Internal evidence points to a date around 317 BCE, with the author possibly a Jew in Palestine addressing Jews of the diaspora. The Prayer of Manasseh presents itself as a prayer from the wicked, but now penitent, king Manasseh (or Manassas) from his exile in Babylon. The actual author is unknown, and the date of composition is probably the 2nd or 1st centuries BCE. Sirach names its author as Jesus ben Sirach. He was probably a scribe, offering instruction to the youth of Jerusalem. His grandson's preface to the Greek translation helps date the work to the first quarter of the 2nd century BCE, probably between 196 BCE and the beginning of the oppression of the Jews by Antiochus IV, who reigned 175–164 BCE. The Wisdom of Solomon is unlikely to be earlier than the 2nd century BCE, and probably dates from 100–50 BCE. Its self-attribution to Solomon was questioned even in the medieval period, and it shows affinities with the Egyptian Jewish community and with Pharisee teachings. The Book of Esther itself was composed probably around 400 BCE by Jews living in the eastern provinces of the Persian empire and reached its final form by the 2nd century BCE; concerns over the legitimacy of certain passages in the Hebrew text led to the identification of the additions to Esther in the Greek translation of Esther of the late 2nd or early 1st century BCE. 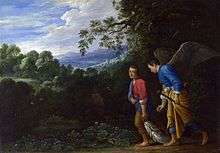 Tobit is set in the 8th century BCE and is named after its central character, a pious Jew in exile. The generally recognised date of composition is the early 2nd century BCE. The Book of Judith is set in Israel in the time of Nebuchadrezzar, king of Assyria. It has strong Persian elements, which suggests a 4th-century BCE date; it also has strong parallels with the Hasmonean period, which suggests a 2nd-century date. It is typically labeled Pharisaic, but an origin in Sadducee circles has also been suggested. The canonical Psalms contains 150 entries. Psalm 151 is found in most Greek translations, and the Hebrew version was found among the Dead Sea Scrolls. Psalms 152–155 are part of the Syriac Peshitta Bible, some of which were found at Qumran. The gospels (and Acts) are anonymous, in that none of them name an author. Whilst the Gospel of John might be considered somewhat of an exception, because the author refers to himself as "the disciple Jesus loved" and claims to be a member of Jesus' inner circle, most scholars today consider this passage to be an interpolation (see below). There is general agreement among scholars that the Synoptic Gospels (Matthew, Mark and Luke) show a high level of cross-reference. The usual explanation, the Two-source hypothesis, is that Mark was written first and that the authors of Matthew and Luke relied on Mark and the hypothetical Q document. Scholars agree that the Gospel of John was written last, using a different tradition and body of testimony. In addition, most scholars agree that the author of Luke also wrote the Acts of the Apostles, making Luke-Acts two halves of a single work. According to tradition and early church fathers, the author is Mark the Evangelist, the companion of the apostle Peter. The gospel, however, appears to rely on several underlying sources, varying in form and in theology, which tells against the tradition that the gospel was based on Peter's preaching. Various elements within the gospel, including the importance of the authority of Peter and the broadness of the basic theology, suggest that the author wrote in Syria or Palestine for a non-Jewish Christian community which had earlier absorbed the influence of pre-Pauline beliefs and then developed them further independent of Paul. 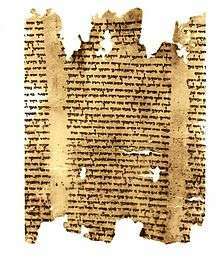 Early Christian tradition held that the Gospel of Matthew was written in "Hebrew" (Aramaic, the language of Judea) by the apostle Matthew, the tax-collector and disciple of Jesus, but according to the majority of modern scholars it is unlikely that this Gospel was written by an eyewitness. Modern scholars interpret the tradition to mean that Papias, its source, writing about 125–150 CE, believed that Matthew had made a collection of the sayings of Jesus. Papias's description does not correspond well with what is known of the gospel: it was most probably written in Greek, not Aramaic or Hebrew, it depends on the Greek Gospel of Mark and on the hypothetical Q document, and it is not a collection of sayings. Although the identity of the author is unknown, the internal evidence of the Gospel suggests that he was an ethnic Jewish male scribe from a Hellenised city, possibly Antioch in Syria, and that he wrote between 70 and 100 CE using a variety of oral traditions and written sources about Jesus. There is general acceptance that the Gospel of Luke and the Acts of the Apostles originated as a two-volume work by a single author addressed to an otherwise unknown individual named Theophilus. This author was an "amateur Hellenistic historian" versed in Greek rhetoric, that being the standard training for historians in the ancient world. According to tradition the author was Luke the Evangelist, the companion of the Apostle Paul, but many modern scholars have expressed doubt and opinion on the subject is evenly divided. Instead, they believe Luke-Acts was written by an anonymous Christian author who may not have been an eyewitness to any of the events recorded within the text. Some of the evidence cited comes from the text of Luke-Acts itself. In the preface to Luke, the author refers to having eyewitness testimony "handed down to us" and to having undertaken a "careful investigation", but the author does not mention his own name or explicitly claim to be an eyewitness to any of the events, except for the we passages. And in the we passages, the narrative is written in the first person plural— the author never refers to himself as "I" or "me". To those who are skeptical of an eyewitness author, the we passages are usually regarded as fragments of a second document, part of some earlier account, which was later incorporated into Acts by the later author of Luke-Acts, or simply a Greek rhetorical device used for sea voyages. John 21:24 identifies the author of the Gospel of John as "the beloved disciple," and from the late 2nd century this figure, unnamed in the Gospel itself, was identified with John the son of Zebedee. Today, however, most scholars agree that John 21 is an appendix to the Gospel, which originally ended at John 20:30–31. The majority of scholars date the Gospel of John to c. 80–95, and propose that the author made use of two major sources, a "Signs" source (a collection of seven miracle stories) and a "Discourse" source. Saint Paul Writing His Epistles, 16th-century painting. Most scholars think Paul actually dictated his letters to a secretary, for example Romans 16:22 cites a scribe named Tertius. The Epistle to the Romans, First Corinthians and Second Corinthians, Galatians, Philippians, 1 Thessalonians and the Epistle to Philemon are almost universally accepted as the work of Paul – the superscripts to all except Romans and Galatians identify these as coming from Paul and at least one other person, a practice which was not usual in letters of the period, and it is not clear what role these other persons had in their composition. There is some support for Paul's authorship of the three "Deutero-Pauline Epistles," Ephesians, Colossians, and 2 Thessalonians. The three Pastoral epistles – First and Second Timothy and Titus, are probably from the same author, but most historical-critical scholars regard them as the work of someone other than Paul. The Church included the Letter to the Hebrews as the fourteenth letter of Paul until the Reformation. Pauline authorship is now generally rejected, and the real author is unknown. 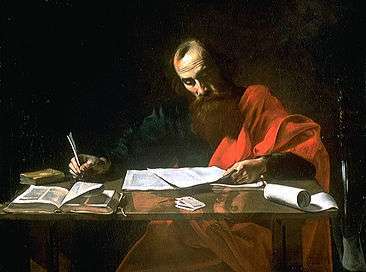 The traditional authors are: Peter the apostle (First and Second Peter); the author of the Gospel of John (First, Second and Third John), writing in advanced age; "Jude, a servant of Jesus Christ and a brother of James" (Epistle of Jude); and James the Just, "a servant of God and of the Lord Jesus Christ" (James). In fact 1 John is anonymous, and 2 and 3 John identify their author only as "the Elder." Though 2 Peter states its author as "Simon Peter, a servant and apostle of Jesus Christ", most scholars today regard this as pseudonymous, and many hold the same opinion of James, 1 Peter and Jude. The author of the Book of Revelation was traditionally believed to be the same person as both John, the apostle of Jesus and John the Evangelist, the traditional author of the Fourth Gospel – the tradition can be traced to Justin Martyr, writing in the early 2nd century. Most biblical scholars now believe that these were separate individuals. The name "John" suggests that the author was a Christian of Jewish descent, and although he never explicitly identifies himself as a prophet it is likely that he belonged to a group of Christian prophets and was known as such to members of the churches in Asia Minor. Since the 2nd century the author has been identified with one of the Twelve Apostles of Jesus. This is commonly linked with an assumption that the same author wrote the Gospel of John. Others, however, have argued that the author could have been John the Elder of Ephesus, a view which depends on whether a tradition cited by Eusebius was referring to someone other than the apostle. The precise identity of "John" therefore remains unknown. ↑ "Quod auctor sacrae Scripturae est Deus". Thomas Aquinas, Summa Theologica, Article 10. ↑ Westminster Confession of Faith, Chapter I, Paragraph iv. ↑ Mays, James L. (1969). Hosea. p. 20. ↑ Reymond, Robert L. (1998). A New Systematic Theology of the Christian Faith. p. 36. ↑ McDermott, John J., "Reading the Pentateuch: a historical introduction" (Pauline Press, 2002)p.21. Google Books. October 2002. ISBN 978-0-8091-4082-4. Retrieved 3 October 2010. ↑ Ska, Jean-Louis, "Introduction to reading the Pentateuch" (Eisenbrauns, 2006) pp.217 ff. ↑ Miller, Patrick D., Deuteronomy (John Knox Press, 1990) pp.2–3. ↑ Van Seters, John (23 August 2004). The Pentateuch: A Social-science Commentary. T&T Clark. p. 93. ISBN 978-0-567-08088-2. Retrieved 3 October 2010. 1 2 3 Boadt, Lawrence (1984). Reading the Old Testament: An Introduction. ISBN 978-0-8091-2631-6. ↑ "Introduction to the Book of Isaiah". United States Conference of Catholic Bishops. Retrieved 29 April 2007. ↑ Brenner, Athalya & Fontaine, Carole R. (1999). The Feminist Companion to the Bible. Sheffield Academic Press. p. 34. ISBN 978-1-85075-978-2. Retrieved 30 December 2007. ↑ J. Cheryl Exum, Song of songs: a commentary (Westminster John Knox Press, 2005) pp.33–37. ↑ P. P. Saydon, "Baruch" by revised by T. Hanlon, in A New Catholic Commentary on Holy Scripture, ed. Reginald C. Fuller, Thomas Nelson, Inc. Publishers, 1953, 1975, §504h. ↑ Peter, Kirby (2001–2007). "Early Christian Writings: Gospel of Mark". Archived from the original on 15 January 2008. Retrieved 15 January 2008. ↑ Dennis C. Duling, Gospel of Matthew, in Aune, David E., (ed) "The Blackwell companion to the New Testament" (Blackwell Publishing, 2010), pp. 302–303. ↑ Ehrman 2004, p. 110 and Harris 1985 both specify a range c. 80–85; Gundry 1982, Hagner 1993, and Blomberg 1992 argue for a date before 70. ↑ Raymond E. Brown, Introduction to the New Testament, New York: Anchor Bible (1997), pages 267–8. ISBN 0-385-24767-2. ↑ Robbins, Vernon. "Perspectives on Luke-Acts", http://www.christianorigins.com/bylandbysea.html. Originally appeared in: Perspectives on Luke-Acts. C. H. Talbert, ed. Perspectives in Religious Studies, Special Studies Series, No. 5. Macon, Ga: Mercer Univ. Press and Edinburgh: T.& T. Clark, 1978: 215–242. ↑ Ehrman, Bart D. (February 2011). "3. Forgeries in the Name of Paul. The Pastoral Letters: 1 and 2 Timothy and Titus" (EPUB). Forged: Writing in the Name of God – Why the Bible’s Authors Are Not Who We Think They Are (First Edition. EPub Edition. ed.). New York: HarperCollins e-books. p. 107. ISBN 978-0-06-207863-6. Retrieved June 10, 2012. Before showing why most scholars consider them to be written by someone other than Paul, I should give a brief summary of each letter. Jacobs, Louis (1995). The Jewish religion: a companion. Oxford University Press. Rabin, Elliott (2006). Understanding the Hebrew Bible: a reader's guide. KTAV Publishing House. Perdue, Leo G., ed. (2001). The Blackwell companion to the Hebrew Bible. Blackwell. Barton, John; Muddiman, John, eds. (2001). Oxford Bible Commentary. Oxford University Press. Dunn, James D. G.; Rogerson, John William, eds. (2003). Eerdmans Commentary on the Bible. Eerdmans. Ehrman, Bart D. (February 2011). Forged: Writing in the Name of God—Why the Bible’s Authors Are Not Who We Think They Are. (EPUB) (First Edition. EPub Edition. ed.). New York: HarperCollins e-books. ISBN 978-0-06-207863-6. Mercer Dictionary of the Bible. Mercer University Press. 1991. Van Seters, John (1997). In search of history: historiography in the ancient world and the origins of biblical history. Eisenbrauns. ISBN 978-1-57506-013-2. Van Seters, John (2004). The Pentateuch: a social-science commentary. T&T Clark. ISBN 978-0-567-08088-2.